Yes I am a huge idiot. Instead the weekend was spent trying to manage my pain and distract myself. I didn't want to try drawing in this condition...For, well, various reasons I'd rather not get into. I'm able to update today despite it being a holiday yesterday at least! The reason being, everyone stayed home this year and we did not meet up for Thanksgiving. I believe my aunt met up with my grandma, but that was it. This might sound kind of sad, but it's really not. I hate thanksgiving. Like, a lot. I hate the immense amount of time wasted for a meal I don't even like (I hate turkey, I hate all of the typical food we have for it), I hate the 2 and a half hour drive, football is cancer, etc. The only part I like is seeing my family, really. Which, part of why we didn't meet up, we wanted to meet up instead on the 28th for my grandmother's 96th birthday! Woah! Which leads me to HOPEFULLY the final missed update, Monday! I'm sorry guys! First up, yet more Argyle fanart! 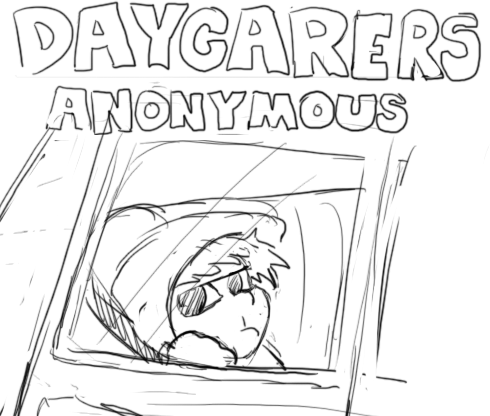 And then oh gosh the continuing trend of kindergarten WA pictures...That title! That bratty expression on Benjamin...Oh gosh. My heart! Wendy-Go from "Wendy-Go's Weird, Wild World of Webcomic Wonders" surprised me with this! Check it out! Man, Eva's so chill in that last panel! Hopefully, he'll learn a lesson this time. 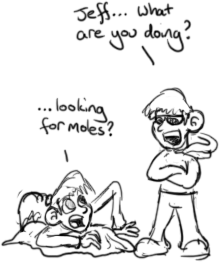 Benjamin must have a very keen sense to be able to detect something wrong. Eva's must have been used to many dangerous situations to remain calm like that. 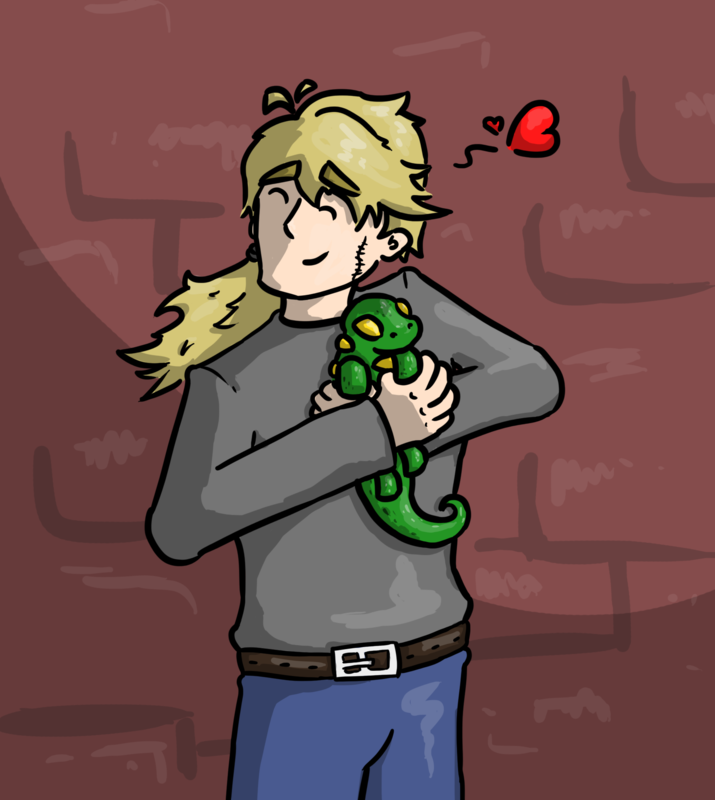 Aww, Jeff and his lizard! Hehehehe! Me too! If I had time I'd draw it, it's too adorable to resist! Yes oh gosh. Too bad Jeff didn't keep the lizard! Smiling at gunpoint. Oh the intrigue. Only Eva would look happier AFTER having a gun pulled on her. Eva has apparently had people pull a gun on her before. Something tells me this was a bad move on the guy's part. Oh, she's definitely had her share of guns pointed at her. Nothing new here, but something interesting? Yes. "Each has their quirks, and you will honestly find yourself falling in love with some or all of them." Hahah, right? Oh gosh. Yeah, I can totally see him desperate for cuddles and going for a dig! I think she just knows he will not do it. The amount of effort you put into wastelanders is outstanding !! And you're not an idiot :[ don't say that! (football is cancer XD XD) 96! Holy crud!! That's the age of my great grandmother. How can people live so long 0~0 I expect to die at 60 or something. Right? Holy crap! I don't even see myself living to 60, let alone 96! Is it me or is Eva not as scared as most people would be with a gun in her back. You are so good at having cliffhangers on your pages. Pff, thank you! Glad it's not...too annoying. I hope not anyways! Eeee! Your Art Style is so Cute and Original! I love it!